‘Alexa! Play Paranoid Android’ If you know the joke, you know why IoT is important. If you’re an aspiring engineer who would like to get skilled on the latest technologies, you probably know IoT is now considered as the next Industrial Revolution. Simply put, the Internet of Things (IoT) is all about connecting tangible objects, spaces, and processes to the internet and amplify the potential to an unbelievable magnitude. With IoT, life will be much smarter and more efficient. The recent IoT Technologies that have been blowing up the Tech world are - Cellular IoT, LPWANs and LoRaWAN, Bluetooth IoT Applications etc. And these IoT technologies have great research and monetary potential and are great avenues for research also. IoT is very crucial in the development of the technology environment because it brings about a huge shift in our professional and personal lives. 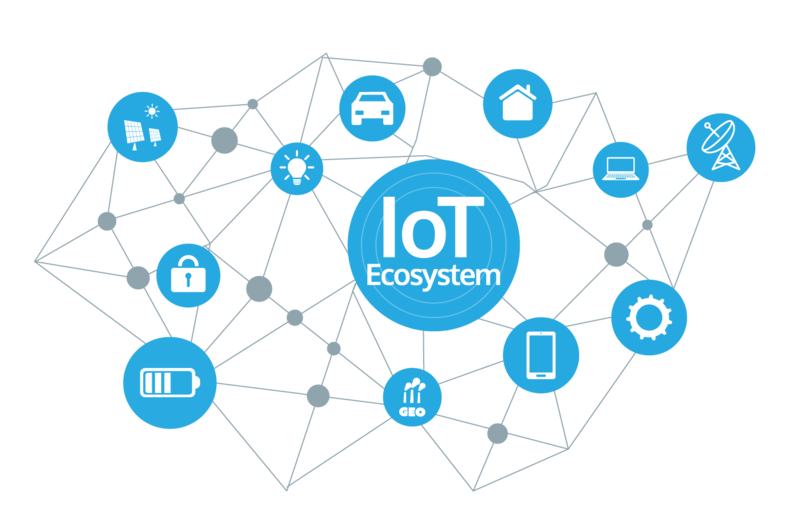 As a fully connected and an entirely integrated environment, IoT adds great customer value and utility to the users. Today, IoT is being implemented everywhere like smart city, smart environment, security, smart business process, smart agriculture, home automation, healthcare etc. It is quite fascinating to develop and implement web applications using open source hardware and software, which is the fundamental structure of an IoT device. Various IoT experts on the Internet discuss issues like invasion of privacy, governance, security, regulatory issues, migration to IPv6 and standardization Issues as barriers to adoption of IoT. What are the recent IoT based technological developments? The ongoing research in the field of IoT and its implementation in full or partial manner will definitely improve the quality of life of human civilization. The Search engine giant, Google has already taken initiatives to mark its presence in the field of IoT. Google is trying to transform the IoT by putting their fascinating concept of making the physical URL as future of IoT instead of apps which we commonly use. In this process, the browser will display a beacon style broadcast in which the nearby objects will appear and can be communicated directly with the help of URL according to the preference of users and signal strength of the smart objects. On the other hand IBM and Libelium have launched 6LoWPAN development platform for IoT which will enable every single sensor and devices to connect directly to the Internet using the new IPv6 protocols. China and many European countries are investing huge amounts of their GDP in making smart architectural infrastructure, for example Smart Roads and Bridges for the safety of people. In these smart bridges, if corrosion or if any malfunction happens it will communicate directly so that repair work can be done at the proper time. Smart agriculture is also in research, Waspmote has taken this initiative for the optimum productivity of crops. This is implemented by using the sensor networks to maintain the monitoring capacity of crop cultivation throughout the production cycle. For example, depending on soil humidity, Waspmote can send a message to the user (through the ZigBee network or by SMS) and automatically switch ON/OFF the water supply, thus contributing towards efficient water management. Build your own Smart Irrigation Project using Skyfi Labs! What are the benefits of using IoT? It’s the technology of today which is touching and transforming every aspect of our real life. IOT has given birth to the concept of Machine-to-Machine (M2M) communication. Companies like Microsoft and SAP have already started to implement the strategy to capitalize on the Internet of Things. IOT is going to have a huge impact on smart home appliances and building automation systems where every convenience will be taken care of by the interconnected devices. IoT is also being deployed on large scale, for example in Songdo, South Africa, the first of its kind, fully equipped and wired smart city is nearing its completion (known as Ubiquitous City). In the medical science field, IOT has given the privilege to devices and systems to sense and predict diseases accurately and to prevent it. For example, IoT can make a person healthier with wearables that can predict heart attack and cardiovascular strokes. As per a report of The Sun Daily, consumers will start initiating the usage of IoT in a better way from 2020 and onwards compared to the past usage. It is expected that IoT products with interoperable capability will dominate the market. Awareness of IoT products is also vital for market penetration along with security features. Even now very few Americans are aware of the usage of these products. As per a study of Consumer Electronics Association and Parks Associates, they found only 10% of the households in USA fully understood the usage of these products. But this percentage is expected to reach new heights in the coming years. Many interesting IoT products like automatic door locks, WiFi connected ceiling fans, light switches, LED bulbs, smart watches, 3-D printers and smart clothes will become popular among consumers very soon. MyBrain Technology in France has developed “Melomind". This EEG Headset can measure a human's brain waves and adjust music in a Smartphone app as they change. This product can be used as a digital meditation aid also. Smart baby pacifier is the latest IoT product to the market and it can measure the temperature of a baby and transmit the same to the Smartphone of parents. Our lives will never be the same with such innovative products coming to use. But it is for the better way itself! IoT is proving to be an emerging technological innovation. In the current context, it is now possible that a helmet of a two-wheeler can interact with a car to avoid a collision. Connected toothbrush can now monitor and make one's morning experience pleasurable. A three dimensional sensor of the electric brush can connect with Smartphone apps and provide real-time feedback to the person. With all the above points, it is pretty clear that IoT is going to be implemented in almost all the appliances that we use on an everyday basis. And it would be a huge advantage if you can learn this technology and get skilled during your engineering course itself. You can develop a great career on IoT by understanding them from the very basics. And, there is no better way to get skilled in a specific technology than building projects. So you can utilize your Mini/Final year projects to learn IoT in an effective way. So in conclusion, IoT projects could make huge value addition to your Resume and your future higher studies opportunities. In this project, you would be working with a soil moisture sensor along with an Arduino board to develop an irrigation system which functions automatically. This project is really interesting as well as useful to society. Farmers all around the world are facing the problem of irrigating huge lands. This device would detect the change in the moisture content in the soil and would control the flow of water accordingly. This project will help you understand both IoT as well as Raspberry Pi. You would develop an electronic device which would stream temperature and humidity over the internet. This project would require Raspberry Pi computer and a DHT sensor. This project would help you build an IoT based smart water monitoring system which would detect the flow of water through the pipe at your home or for that case any building. This device would also measure the volume of water flowing. This data of volume and flow can be recorded and save for future analysis. These kinds of projects mainly helps in the manufacturing sector. By building this project, you can take away a lot of learnings like IoT concepts and application, Arduino architecture and programming, calibration of flow sensors etc. Hope you got some good IoT based project topics to do for your Mini/ Final year projects from this article. Suppose, if you want to build great IoT projects but don’t have the necessary technical knowledge, don’t worry! We at Skyfi Labs have developed an innovative learning methodology through which you can learn latest technologies like IoT by building projects hands-on right from your home. With the hardware kits delivered to your doorstep and 1-1 technical assistance provided, developing great expertise on the latest technologies will never be tough for you.